Games help us escape the reality. But is that all? 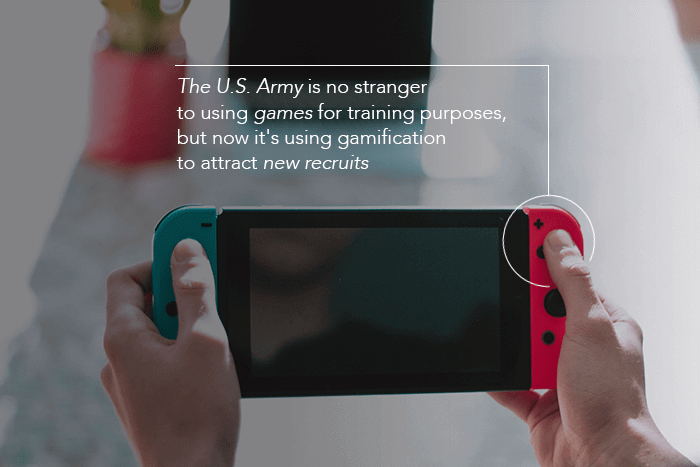 Then why would the American Army, Dell, Alibaba, Financial Times, and SAP invest heavily in gamification? The answer is obvious: gamification is a serious business, ladies and gentlemen. Big enterprises spending millions on gamification know that there is something utterly real behind any game. Playing games users don’t only collect coins and badges or find their names immortalized on leaderboards. No, they also make micro-payments, help companies with expanding the clientele or provide businesses and institutions with priceless analytics. Just playing. These are just some visible advantages of gamification for businesses. Those who know how to create the right games can receive anything they want from players. It’s possible to make people quit smoking, push them to regular reading or cleaning a mess in the house, it’s also easy to join the army or pay half of their salary for characters’ upgrades. Gamification is the Last Tool That Can Grab Attention in the Era of Attention Economy. Yes, it’s the era of the attention economy. What does it mean? Customer’s attention has become a valuable and scarce resource even more, valuable than customer’s money and time. First, human attention is limited by default. Second, competition is growing proportionally to the growth of the amount of distracting information. “OK, I will wash the dishes now and then I can finish that series. Or I will complete the report and will indulge myself with a cake.” We create rules and rewards for following them, we make up quests without noticing. It’s how we gamify our lives. Big companies realized that game mechanics, such as levels, rating, achievements and quests used in our everyday activities can be extrapolated to the broader environment to reach a company’s internal and external purposes. Inadequate level of engagement сan be explained by two factors: the enormous amount of distractors and monotonous work. Gamified apps help to make monotonous routine operations less boring and tiring. Solves 3 problems for HRs: low engagement and productivity, ineffective recruitment, and inadequate training. Here are 6 bright cases from 6 mature companies that are not afraid to play games. Increasing productivity through higher motivation and game-like daily activities is one of the most obvious benefits of gamification for both small startups or big corporations. In the gamified workspace, each employee is constantly notified of the results of his/her work and can monitor colleagues’ results which improves team spirit and increases productivity. Several years ago one popular Russian social media Odnoklassniki with 330 mln users implemented gamification into the working process to improve the degree of bugs fixing. They created a custom game called Bugatlon. First, they made the team believe that bugs were real problems for millions of users adding an emotional aspect to the game. Second, they created several skills like Java Web and GWT for each employee. After completing quests QAs and developers achieved points, and at the end of each day, managers congratulated the best employees. Using gamification, Odnoklassniki managed to reshape the perception of bug fixing and significantly increase the effectiveness of bugs fixing. In the first 5 days of Bugatlon, employees fixed 50% of all the bugs. Some QA and developers even played at home during weekends to increase their ratings. And I don’t even mention gamification for sales teams: there are huge possibilities to make a sales process extremely effective. Using gamification mechanics for employees’ education and training. Skill trees with different skills for different professionals with milestones inside the trees with integrated approvals or tests – the possibilities are truly unlimited. Sometimes the education/ training of new employees is so ineffective that companies avoid hiring new people. SAP created a special gamification system for their sales team called Roadwarrior. Inside this game sales managers enter the competition in which they try to become the best product experts. The game simulates typical sales situations and creates a healthy rivalry inside teams. That’s why gamification for sales team works as well as a magic potion for witches. Optimization of the effectiveness of the recruitment process. Gamification becomes a vitally important tool for HR departments in hiring and evaluating employees by creating tricky or non-standard situations for potential candidates. Using gamification helps HRs in gathering deeper and more accurate information about potential employees. At some point, the US Army realized that they need to design a new recruitment tool to increase the number of applicants. That is how they release the game called the American Army, of course. The purpose of the game was rather obvious: to provide potential recruits with the virtual soldiering experience. They could test weapon, visit hot zones, and visualize the rules and regulations of the army. The Army managed to recruit millions of new soldiers since the day it was released. Yet in my opinion, the full potential of gamification in business is revealed when it’s leveraged for external enterprise purposes: attracting new clients, expanding the clientele, increasing clients’ retention and engagement. After all, you can gamify any process that involves people. Increasing users’ engagement and creating of a habit to use an application. With daily bonuses and achievements, gamification makes customers use apps regularly. Gamification mechanics bring joy to the most boring processes and turn daily tasks into quests. This way users grind their activities without getting tired. Alibaba Group uses gamification in their e-Commerce platform AliExpress. They stimulate users to leave reviews, follow popular reviewers and share new items. For each action, users achieve “coins” and sales coupons. With mini-games, they can take coins from the users and at the same time give them promo coupons for different stores. Using these seemingly simple instruments Alibaba created the huge amount of active and engaged users, thousands of review on all items and made users visit their app each day in search of sales coins. Nowadays AliExpress one of the most used e-commerce apps in the world. Stimulating virality through social media activities and features requiring friends’ participation. By giving users the ability to share the content, gamification can increase the clientele by bringing users’ friends to the application. 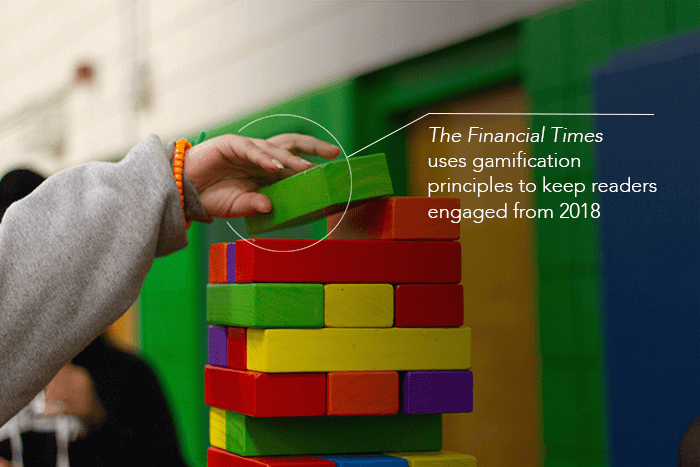 With gamification, users can compete with each other to achieve digital and emotional rewards. Raising brand loyalty via emotional affection to the brand, application or products. 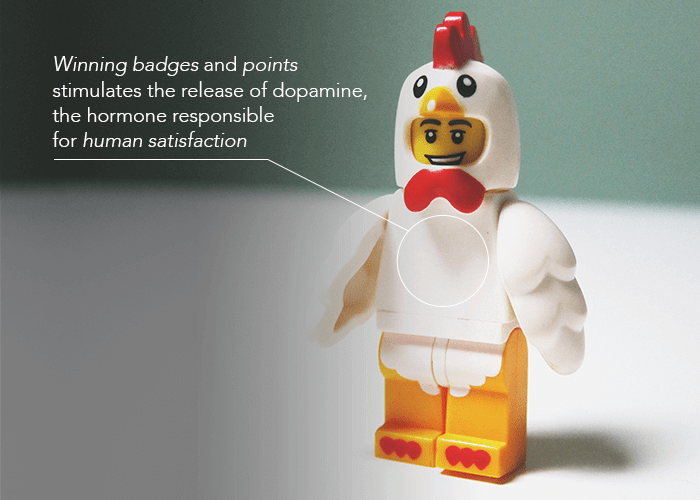 Gamification creates emotional anchors for the user through badges, achievements, and virtual items. Showing a brand to a potential client on a daily basis creates a strong affection contributing to the formation of brand loyalty. Even the most serious world media use gamification. For instance, Financial Time give points for reading their articles since October 2018. Artificial Intelligence mechanism analyzes the number of the articles subscribers read and give them points. That’s how the media managed to increase the time of reading of their articles. But there are certain stereotypes that prevent many companies from the implementation of gamification of enterprises. A stereotypical perception that there are only elves and badges. There are hundreds of different mechanics in games not speaking of custom design. High cost. In reality, gamified business applications are the investments that work best for the companies dealing with the complex problems they are not able to solve in any another way. Again, for Dell it cost cheaper than the traditional marketing campaign. The word “game” has several definitions. Of course, it’s an entertaining process first of all. But there is a darker meaning of this word, like in the phrase “game a system.” So game also means tricking the mechanisms, bending the rules, manipulating gamers. Gamification of enterprise applications or using game design and game mechanics to reach real business goals is effective specifically because of these two meanings. Unfortunately, most people don’t treat entertaining things seriously, they feel relaxed and they get engaged better, they sacrifice their precious time and attention. And that’s the reason why gamification works.